Size matters and with large format print and display your message will reach a wider audience. Be bold, be big, be noticed. When you decide to go large, you need a specialist in producing large format graphics and products. Combining over 30 years’ experience in reprographics, extensive technical knowledge and colour management skills ensure we offer a superior service. Our clients are design and advertising agencies, marketing managers of well-known brands, businesses, schools and charities, exhibition organisers and printers. We can find the right solution for your next larger-than-life project, from exhibition and interior displays to vinyl graphics, event branding and outdoor banners.  Shades’ skilled and hugely experienced staff make quality print management easy, from advice on new and innovative products through to production, print and delivery. Your eye-catching campaign will be head and shoulders above the rest.